There are always wonderful events taking place in and around the Furness area, but this September sees Cartmel host a truly incredible spectacle - as it brings the past back to life! Five days of celebrations and medieval festivities (25th – 29th Sept) will be taking place in and around Cartmel Priory to mark the 800th Anniversary of Magna Carta. It promises to be an amazing event. Starting on Friday 25th, the central focus will be on the historical Flower Pageant in the Priory which will be open every day from the Friday through to Tuesday. On Saturday and Sunday a medieval encampment will be set on Fairfield Paddock, where a team of experienced re-enactors will create Knight William Marshall’s campsite, complete with his mesnie (household and group of knights) During both days there will be various displays, including medieval camp cooking, camp blacksmith, falconry, how armour is worn, single combat and the fast furious and incredibly exciting main tournament where fully armoured knights fight valiantly for the honour of opposing factions. Camp stalls will be brimming with tasty treats to keep you well fed and watered. Cartmel Ale, The Abbots Cellar, Meaty Muffins, Ploughmans Pottage, Sweet Treats and The Physic Garden (herbs and spices) will all be selling their wares. The entertainment doesn’t stop there though. Three concerts will be taking place over the 5 day event.On Friday evening the award winning Amabile Girls’ Choir will be performing. Saturday sees La Serenissima, one of the UK’s leading historical performance ensembles perform. And Flookburgh Band plays on Monday night, as this ever popular band lend their rich, rumbustious sound to the festivities. Each evening at dusk Cartmel Priory will present a stunning Son Et Lumiere spectacle. Free for everyone, this will be projected across the façade of the building with sound, lighting and projection effects. It will tell the story of the founding of the Priory in 1189 by William Marshall, 1st Earl of Pembroke, Regent of the Realm and England’s Greatest Knight. 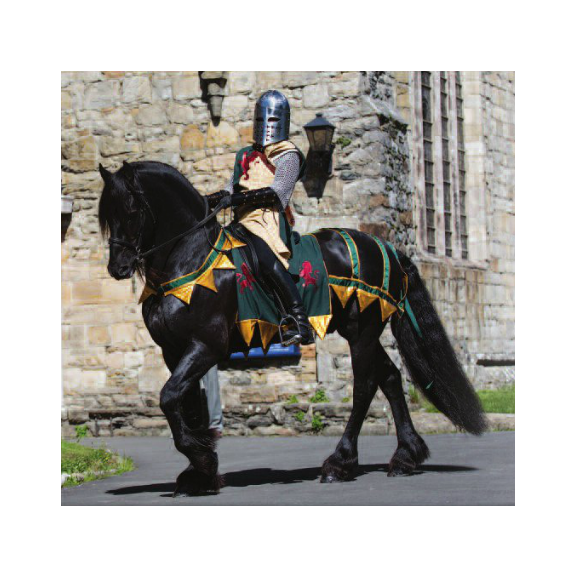 There is something for everyone here, the varied entertainment, stalls, re-enactments, concerts and displays ensure that young and old alike will have an experience that they’ll never forget. Car parking is FREE at Cartmel Racecourse too, which is only short walk from the Priory, what more could you ask for?